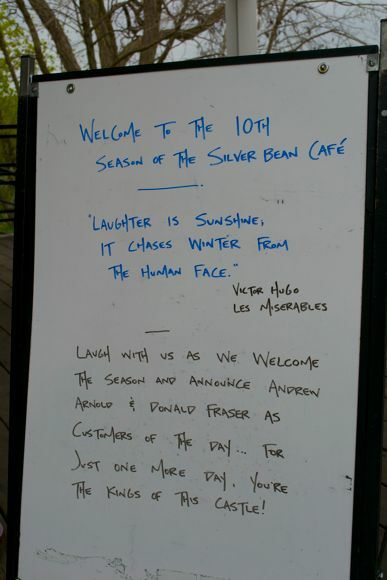 The Silver Bean Café opened yesterday, kicking off their 10th season. It was a bustlin' place on Day One, to be with many local folks who had been counting down the days until opening day. The weather seems promising for the next few days to spend enjoying a latté at the "cottage"! Tip us at tips@ptbocanada.com. Follow us on (hashtag #bethechangeptbo) or Like us on Facebook.